LEDs are becoming increasingly popular and more high-quality LED lighting products are being manufactured and sold. For a number of reasons, including energy-efficiency, LED lighting is an attractive alternative to incandescent or fluorescent lighting in both residential and commercial lighting applications. Here are 10 things that you should know about this newly-emerging light source. Light emitting diodes, or LEDs, are becoming increasingly popular and more high-quality LED lighting products are being manufactured and sold in the marketplace. LED lighting is an attractive alternative to incandescent or fluorescent lighting in both residential and commercial lighting applications because they are very energy-efficient, have very long lives, are very small in size, do not have any re-strike time, can be dimmable, generate relatively little heat, have a slow failure rate, are shock resistant, work well in low temperatures, their light can be easily focused, and they contain no toxic mercury unlike today’s popular energy-efficient lighting product, the compact fluorescent light bulb (CFL). Here are 10 things that you should know about this newly-emerging light source. 1. Colored and White LEDs LEDs can be red, green, blue, or amber. The color emitted by an LED is dependent upon the materials used to produce it. For example, a red LED is made from the chemical elements of aluminum, gallium, and arsenic. White LEDs are created by covering a blue LED with a yellow phosphorous coating. A white LED can also be created by using a red, blue, and green LED in close proximity to each other. At this time, there is not an LED that can emit white light. Producing an LED that could emit white light is the “holy grail” of LED light research. 2. LED Brightness A single high power LED can produce about 80 lumens of light. In comparison, a standard 60 watt incandescent light bulb produces about 900 lumens. Thus, a single high power LED is only about 1/11th as bright as a 60 watt incandescent light bulb. In order to produce adequate lighting, therefore, an LED fixture must contain groups of LEDs. However, the future is bright, pun intended, for LEDs. The lumen output of LEDs has almost doubled in the last two years. 3. LED Color Temperature Color temperature is a measure of the color appearance of a light source which helps describe the apparent “warmth” (reddish) or “coolness” (bluish) of that light. Light sources below 3200 Kelvin (3200K) are considered to be “warm;” while those above 4000K are considered to be “cool” light sources. For comparison, a traditional household incandescent light bulb is 2800K. The color temperature of a light source is not related to how hot the light source will get or how much heat is given off by the light. White LEDs vary in color temperature. Some white LEDs can be as “warm” in appearance as 2600K but most white LEDs are slightly “cool” in appearance. This is because most white LEDs are created by putting yellow phosphors over blue LEDs. 4. LED Color Rendering Color rendering index (CRI) is the ability for any light source to render colors accurately. The CRI scale goes from 1 (low pressure sodium) to 100 (the sun). A CRI of 75 is considered to be good, a CRI of 85 is considered to be very good, a CRI of 95 is considered to be excellent, and, of course, a CRI of 100 is considered perfect. LEDs in a warm white color temperature are currently available with a CRI of 80. 5. LED Efficacy As with all light sources, the efficacy of LEDs is measured in lumens/watt, the amount of light produced by one unit of power. Warm white LEDs produce between 25-44 lumens/watt while cool white LEDs are more efficacious by producing 47-64 lumens/watt. 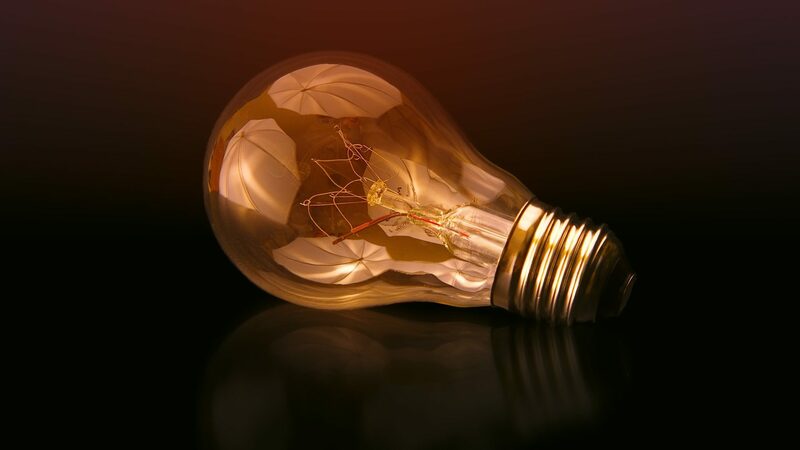 In comparison, the typical household incandescent light bulb creates 10-18 lumens/watt while compact fluorescent light bulbs produce 35-60 lumens/watt. 6. LED Drivers Fluorescent light bulbs require a ballast in order to function. The ballast provides a starting voltage and limits the electrical current to the light bulb. LEDs also require a similar electronic power source. For LEDs, this electronic power source is usually called an LED driver. The LED driver converts line power to the appropriate voltage (usually between two and four volts DC for high-brightness LEDs) and current (typically 200-1000 milliamps or mA), and may also include dimming and/or color correction controls. LED drivers are generally about 85% efficient. Thus, the efficacy of LEDs should be reduced by 15% to account for the LED driver. 7. LED Heat Generation It is a myth that LEDs do not generate heat. In fact, all light sources generate heat and LED lights are no different. Thus, it is important that an LED fixture is well-designed with “heat sinks” to adequately dissipate the heat that is created. 8. LED Lifespan LEDs do not burn out like an incandescent light bulb. Instead they get progressively dimmer over their lifetime until they no longer emit enough light to be useful. An LED is generally considered to be no longer useful when it is emitting only 70% of the original amount of light the LED produced. The time that this takes is often referred to as the “rated life” of an LED. While some LEDs may have a rated life of 100,000 hours, this is usually only under perfect laboratory conditions. Under real-world conditions most LEDs operating in light fixtures might last up to 60,000 hours. The rated life of an LED is often much less when the LED is operating in a light fixture as opposed to the same LED operating outside of a light fixture due to the buildup of heat inside the fixture. The typical LED inside of a typical light fixture may have a rated life of 35,000 to 60,000 hours. 9. OLED An OLED is an organic light emitting diode. It is an LED that also contains carbon. OLEDs are generally manufactured as flexible lightweight sheets. Today, OLEDs operate at significantly lower efficiency than inorganic (crystalline) LEDs. OLEDs typically generate less light per area than inorganic, solid state LEDs, which are usually designed for use as point-light sources. 10. Infrared and UV Radiation White LEDs do not emit infrared, or heat, radiation like an incandescent light bulb. In addition, white LEDs do not create ultraviolet radiation (UV rays) like a fluorescent light bulb. Although there has been a lot of media attention given to LEDs, there are still far too many LEDs that are not well-designed. In short, the LED lighting market is still maturing. Research continues to improve LED brightness, efficacy, and the rated life of LEDs at a remarkable pace. However, in the short-term be cautious when selecting an LED lighting fixture. This article, “LED Lighting: 10 Things to Know ,” first appeared on the Pegasus Associates Lighting website.